"Zen" could be the Hotel Lancaster's middle name. The elegant private residence (once a 19th-century private mansion) is found just off the Champs Elysées on Rue Berri, a very quiet street, yet close to all that's happening. 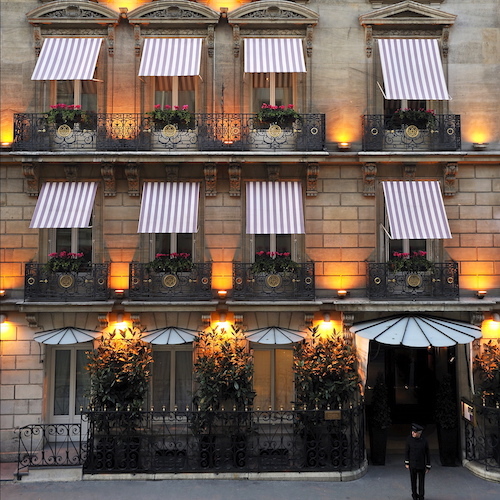 So, when you enter through the front doors the bustling Paris scene will seem a thousand miles away. 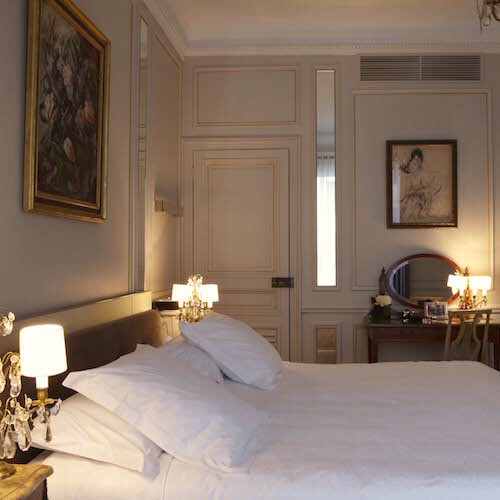 This luxury, small townhouse hotel is very different from other 5-star Paris hotels. It's intimate, with very personal service. 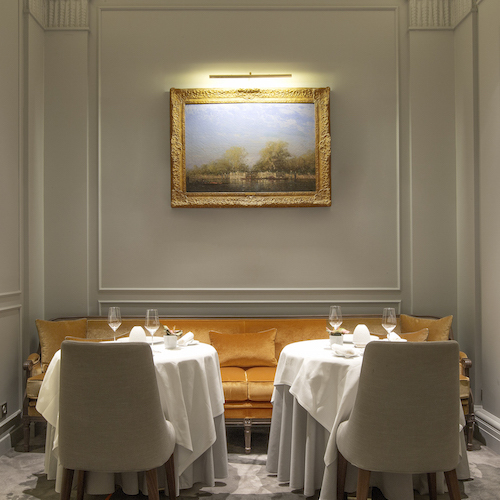 We think of it more as a luxurious hideaway or retreat that just happens to have one of the best chefs in Paris (Julien Roucheteau) turning out exquisite meals in the hotel restaurant, the Michelin one-star, La Table du Lancaster. There's a mixture of Asian minimalism and European sensibilities in the rooms, the gardens and the restaurant. 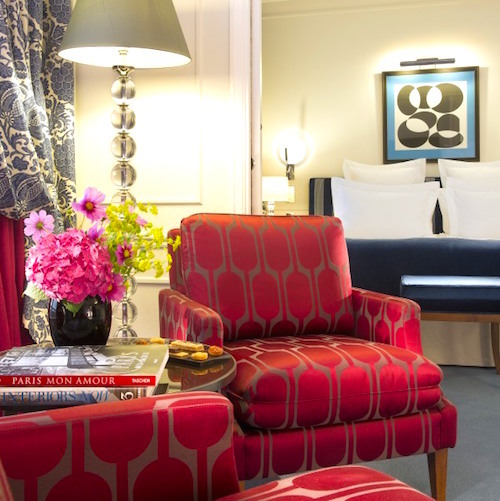 Travelers rave about the sense of of serenity and calm found at Hotel Lancaster Paris. 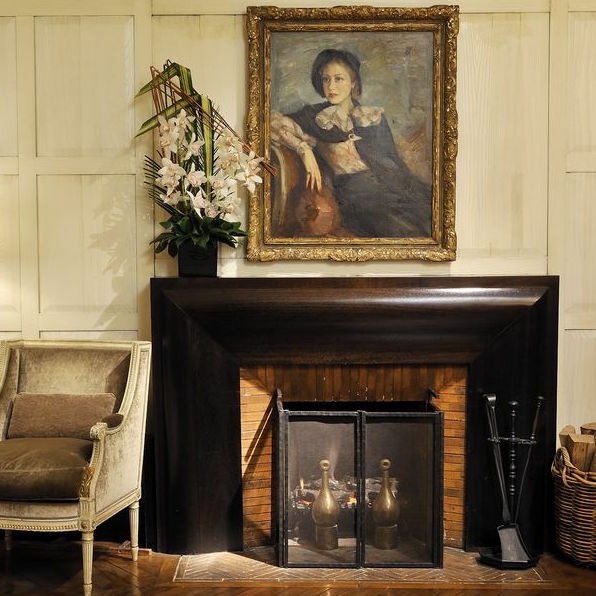 There are only 46 rooms and 11 suites, all decorated with traditional furniture, original paintings by old masters, and antiques. The restaurant, La Table du Lancaster, offers dining that is peaceful, understated and delicious. It's so good that it's been awarded a prestigious Michelin star. The interior courtyard of the former mansion is now a green oasis, a perfect place to relax. The former entrance for horse-drawn carriages leads to the main hall that opens onto a salon with cozy armchairs, couches, decorative mirrors and paintings. 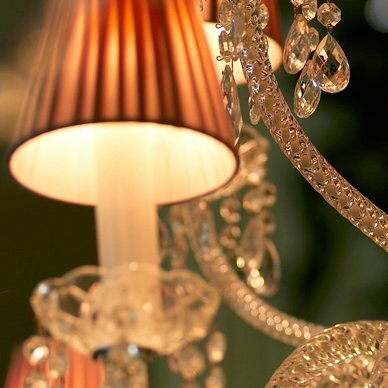 The overall effect is of opulent comfort. 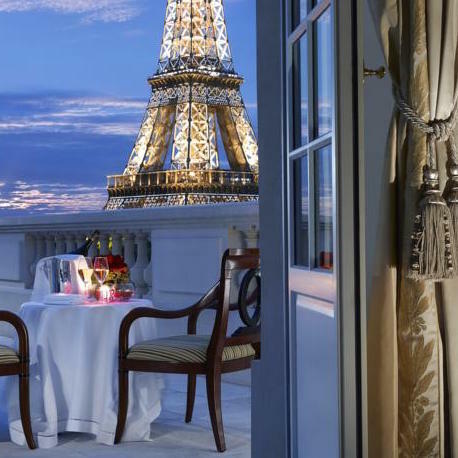 Once you walk outside this 5-star retreat, it's a short stroll to the most celebrated avenue in the world, Champs Elysées. 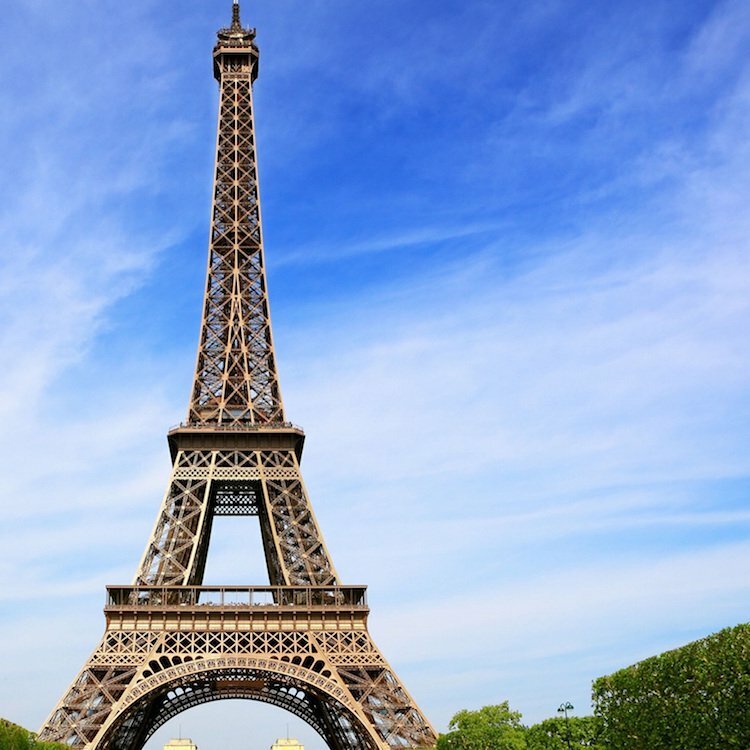 Nearby are Rue du Faubourg Saint-Honoré, the Place de la Concorde, the Place de l'Etoile, where you find the Arc de Triomphe.